The history of video games 4 Most Influential People In The History Of Video Games [MUO Gaming] 4 Most Influential People In The History Of Video Games [MUO Gaming] Making a video game takes a whole team of people. Everyone, from the director down to the testers, plays a vital role in turning out a quality product. However, with most video games there is... Read More , while short compared to books, movies, and other entertainment mediums, has been packed with some releases of incredible quality. As such, it’s only natural for a fan of gaming 5 Free Online Documentaries That Will Introduce You to Esports 5 Free Online Documentaries That Will Introduce You to Esports What is your impression when you hear the term "competitive gaming"? For those who are interested in learning what competitive gaming is really about, here are some of the best documentaries on the subject that... Read More to wonder what the best games ever made are, or at least what the experts think are the best. After all, it’s subjective, and different people will have their own opinions on the matter, but it’s definitely fascinating to take a trip down memory lane and see what’s out there. So, with that in mind, let’s take a look at some of the most notable lists that break down the best video games ever made. Game Rankings is one of the first places I come to when I want to see some information about the best games of all time because it achieves its rankings based on aggregate scores from various video game publications 4 Gaming YouTube Channels You Need To Subscribe To 4 Gaming YouTube Channels You Need To Subscribe To We are going to take a look at some of the best general gaming channels that will keep you entertained for hours on end through engaging video game content. Read More . While some lists directly from websites are only based on the collective opinions of its own writers, this list casts a much wider net. Like Game Rankings, Metacritic aggregates scores from various outlets to determine the best games. Also, like Game Rankings, it does not go all the way back to really old stuff, as reviews were harder to come by back then, and most were contained in print magazines, many of which are lost to time. Still, it’s a great site to come if you want to see the best games, and if you’re feeling really crazy, you can use either of the aggregate sites to have a look at the worst games ever. You know, if you’re a masochist or something. The folks at GamesRadar (which is a fantastic website for more offbeat gaming content), have just recently put out a list of the 100 best games. With that many games, it’s a fairly exhaustive list, and it covers games spanning all different genres and time periods. It’s always hard to compare a game released in 1980 with a game released in 2013, but they do a good job, and the choices feel very fair. If you want a great place to go when your friends try to claim that X game is better than Y, GamesRadar’s list is a great resource. Perhaps the retro gaming scene is not really of interest to you, and you prefer to keep your gaming on the Xbox 360 or PlayStation 3. If that’s the case, then you are going to love this list, because nothing outside of that is included. Sure, it’s only a small vertical slice of gaming’s history, but it still hits on a ton of modern games. If you have a friend who is new to gaming, and perhaps they just acquired a last-gen console, this list will give them a perfect starting place for great games to play. There was once a time when G4TV was an awesome channel dedicated to covering nothing but video games. Sadly, those days are gone, but this list still remains a fantastic view of the gaming world as a whole. It’s a couple of years old so some of your more recent favorites will not be on the list, but it still hits on many of the most important games, and it comes from people who know their stuff. Definitely check this one out if you want to see 100 games that you need to play at some point before you put down the controller for good. Maybe your not so interested in the best games of all time from a subjective standpoint. Perhaps you are interested in concrete numbers? Well there’s only one place to turn for that – sales numbers. And if you want numbers, VGCharts has you covered with it’s database of the best selling videos games. The numbers are not 100 percent accurate, as not all companies release detailed sales data, but it will give you a great ballpark of what games sold the best in the history of gaming, and if nothing else, it’s just fascinating to see what games really brought it in terms of making the big bucks. 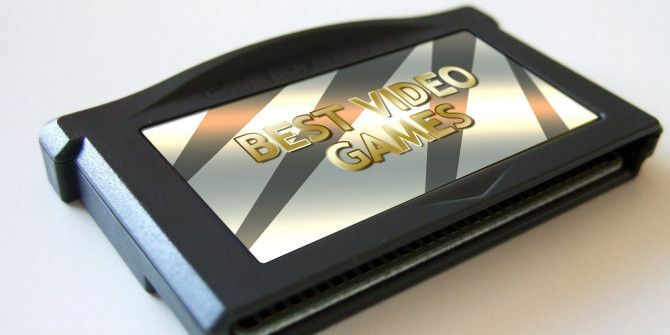 So we’ve talked about places to find the best games of all time, but what I really want to know is what YOU think are the best games of all time? Jump to the comments section below and tell us your top five games ever! Also the number one spot for games, gamespot.com. They have rankings and you can search by a whole number of criteria to find just that special game that fits your gaming style.